Have you gotten your hands on the latest Pokémon Franchise? 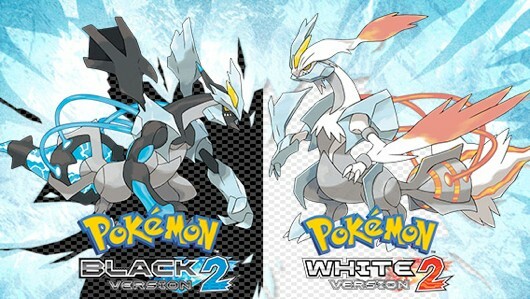 Well, introducing the new Pokémon Black and White 2, a sequel to its predecessors Pokémon Black and White. A must get to understand the story of black and white. The game is set two years after the first game and it is definitely a must get if you loved the story line. Black and White 2 features a new individual and his rival who is out on a quest to retrieve his sister's Purrloin. How is that for a change in rivals? We usually have rivals who want to challenge us to be the better person, but here we have the rival seeking his sister's stolen Pokémon. A very noble deed indeed. If you think that there are new characters, don't be surprised. There are recurring characters too! Remember Bianca and Cheren? Well, they are useful characters to with Bianca being Professor Juniper's assistant and Cheren, a gym leader. Way to go Cheren, in two years, you have achieved very much. With new towns and new areas to explore, this is definitely a good game. Perhaps this video will help you get enticed even more. What are you waiting for? Get yours today! Stay tuned for more updates on the gameplay.